Next season's Premier League champions stand to pick up at least £60m in television and prize money, with top-flight clubs guaranteed at least £40m. With a new overseas TV rights deals for 2010-2013 worth more than £1bn, clubs will receive £7-8m extra each season. Parachute payments made to relegated teams will rise from £11.2m to £16m from the end of this season. That change has raised fears in the Championship that relegated top-flight clubs will have an unfair advantage. Doncaster chairman John Ryan told BBC Radio 5 live last week: "What are the Premier League trying to do to the Championship? Make it a bit more like the Premiership where everybody knows who will finish in the top four before the season starts. "It's skewed enough as it is. Look at the table with Newcastle and West Brom at the top. Newcastle's wage bill is £42m and our's is £6m. "We are competing because we have a great manager, as do Swansea while Nottm Forest have spent a fortune. "If this goes ahead it will really skew the league. It's the best league around because it's so wonderfully unpredictable. And Ryan also expressed his concern that the financial gap would also widen between the Championship and League One and Two clubs. "There is an imbalance between Championship and League One and League Two," added Ryan. "I just hope they look at the ramifications. "Rather than give massive payments to the relegated clubs, maybe it would be better to spread between the other clubs - it would make it a better competition". In recent years clubs that have been relegated from the Premier League have struggled managing their finances if they fail to win promotion back to the top-flight immediately. In January Crystal Palace became the latest former Premier League club to be placed in administration, joining the likes of Leeds United, Southampton and Leicester City to have suffered a similar fate. And with Cardiff City, Southend United and Bournemouth all fighting winding up orders from Her Majesty's Revenue and Customs this season, finances outside the top flight are getting tighter. 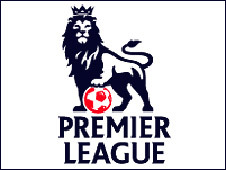 The domestic Premier League TV deal for 2010-2013 is worth £1.782bn compared to £1.7bn for the current three-year period which expires at the end of the current campaign. Clubs have been told they will receive similar sums from domestic rights for the 2010-2011 campaign with increases for the following seasons. Each place in the Premier League table is worth around £750,000 with a £13.9m payment to each club and 'facility fees' of £480,000 for each televised match (with a minimum of 10 per club).